This year’s TNW Conference Europe will see 150 carefully selected startups exhibit their products and pitch their ideas to 3,500 influential attendees. Having received more than 250 applications so far, the TNW Events teams is slowly but surely making its way through each application and inviting the best to interview for a place. So far, we’ve confirmed 25 companies that will be exhibiting in our newly expanded Business Area on April 23 and 24. Check them out below, or complete your application if you think your company deserves to join them. Dayafterday is your daily dose of things collected from the creative world, things that help you stay present – things for today. Bubbles is a new and innovative mobile app to send messages to the future; you decide when your friends can read them! Bridg is a payment platform for the developing world that allows businesses of any size to accept cashless payments. Braineet is the best way to share your smart ideas with brands in order to make products and services better. Campr is a social traveling platform where you can find unique camping experiences. Dreamler is an artificially intelligent tool that turns to-do lists into a community-powered visual planning game. 360Social shows you everything about everyone right inside your inbox and browser. Free, real-time and verified information is displayed in a neatly structured sidebar. Alugha lets you provide multilingual online video in a single place – just like DVD! Alugha also supports Dolby Surround. Dabballawa provides healthy, yummy lunches that vary every day, delivered directly to your desk. Ensemble is a charitable giving marketplace powered by donors. A bit like an About.me platform for charities. Bethere is the coolest way to know in advance where your friends are planning to be next. Dot wants to become the defacto platform for geo-located information, initially via its multi-layered mobile app. Think about it like the Wikipedia of location services. Elephone is creating an intelligent, social and global dialler that lets you identify incoming calls, control how you appear when you call others and find the places and people you love! Book’n’Bloom is a Facebook integrated business management tool that allows small appointment-led businesses to operate across social and mobile channels. BookLikes claims to be the world’s number one blog platform designed for book bloggers, reviewers, authors and publishers. Groupiest is a content curation tool for community managers and small business that aims to save users time and deliver the best engagement. Hello Customer is an innovative CX software focusing on measuring and understanding satisfaction, enabling users to become truly customer-centric. Instant Magazine claims to be the world’s first tool for creating full responsive digital magazines. From smartphones to smart TVs. Animated templates, full screen video, forms, personalisation – it’s all here. Lelylan is building the Connected Home through its open API and a ready to use app for ‘Smart Products’. SMASHDOCS is the easiest, fastest and most secure way to review and negotiate documents. Make and manage all changes to a document in a single version. Swift Shift allows you to deploy staff across stores in minutes based on real time operations data. Storygami makes online videos smarter by allowing users to add layers of interactivity that increase audience engagement and retention. SponsorMyEvent is a marketplace that matches event-organizers with event-sponsors. It is the booking.com of the event industry. Paranoid Fan is a sports-centric social network for mobile devices – a place where sports fans can make new friends. 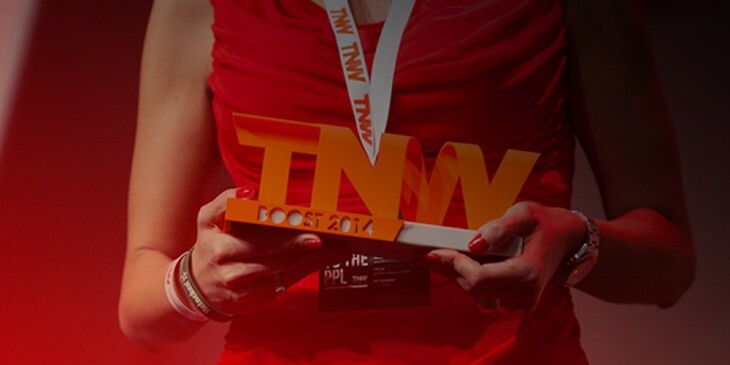 ➤ To join these companies at TNW Conference Europe 2015, apply for free here.